There are few products that can adapt to a vast array of architectural styles, remain cost-effective and meet the ever demanding energy and structural code criteria like Omni Block. 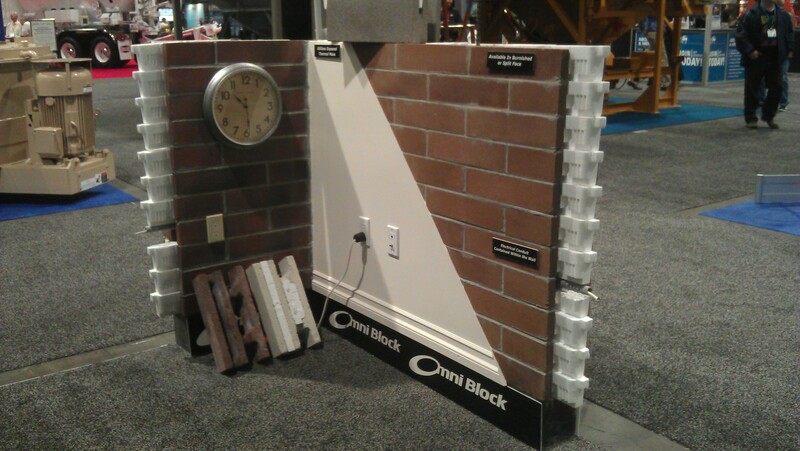 Omni Block is a unique block that is multi-layered with constricted cross webbing that create individual cells that are filled with foam insulation inserts. It is a stand alone wall system that should not be furred, additionally insulated or sheetrocked. It is recommended to plaster the interior of the block with standard sheetrock compound to exactly match any adjoining interior sheetrock (see INSTALLATION section) walls. Omni Block can also be left exposed on the interior, exterior or both. This type of construction economically provides finish options that other types of construction cannot provide. The complete Omni Block System 8 is depicted above. It consists of five types of block, the Omni Stretcher unit is the most commonly used. 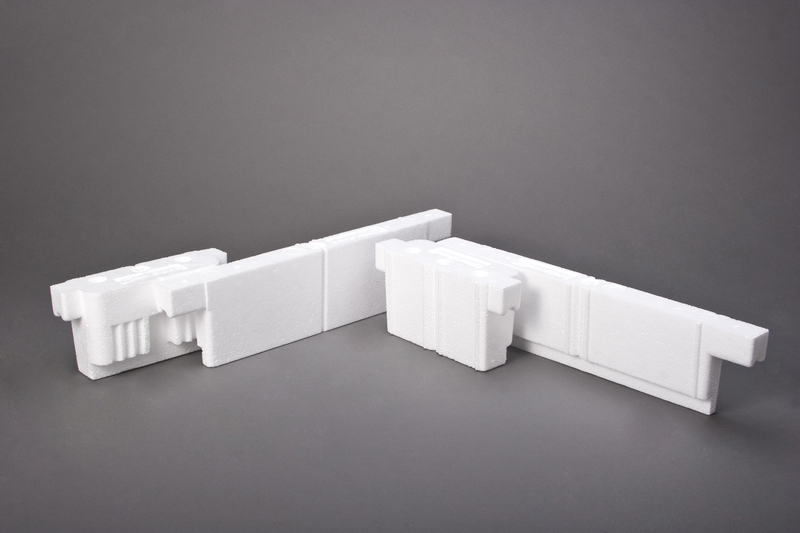 There are two other Omni Block units, the Omni Left Corner/Jamb and Omni Right Corner/Jamb, which are alternatively used at corners, in-line piers, and window and door jambs. Also required at window and door jambs are the standard 8″ x 8″ x 8″ half block. There are a few situations that call for a closed-ended block on both ends and that is where a standard 8″ x 8″ x 16″ is used. In addition to standard grey block, most distributors can integrally color, score, burnish, and split Omni Block, all providing lasting finishes that dramatically decrease life cycle costs. Photo supplied by Phelps Cement Products, Phelps, NY. Locally quarried aggregates will produce a variety of standard colors at local production plants. Custom colors with special aggregates are also available. The inserts come in two sizes; Long and Short. 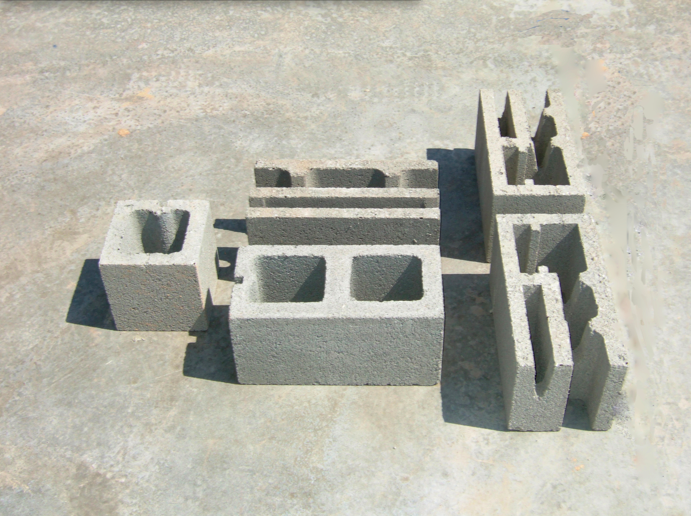 Each fits into its corresponding block cavity. 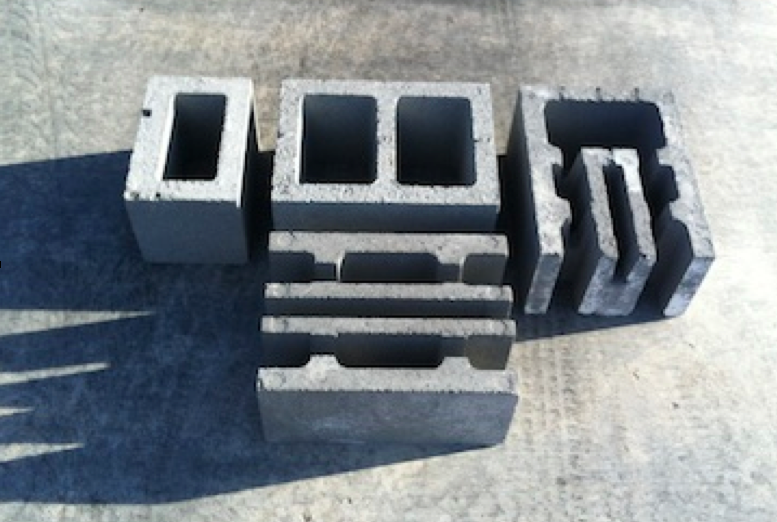 The inserts are 3/8″ taller than the block in order to insulate the horizontal mortar joints. 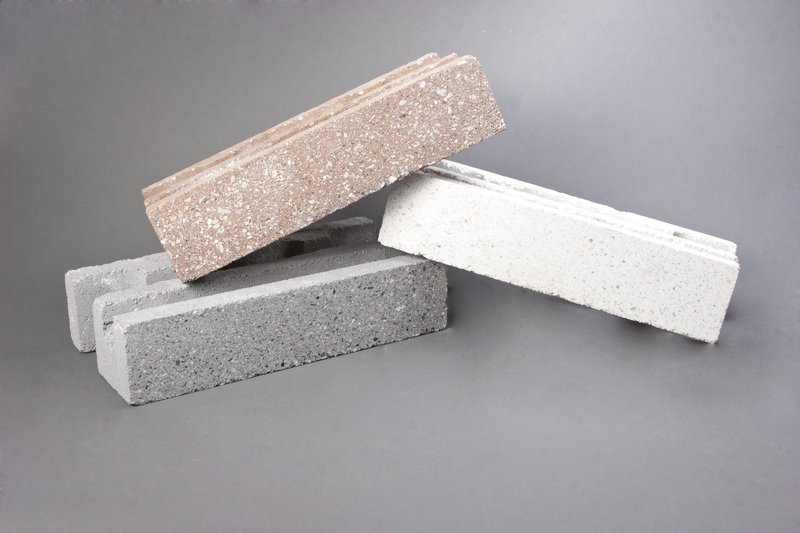 The vertical mortar joints are insulated due to the overlapping feature (from block-to-block) of the short insert. 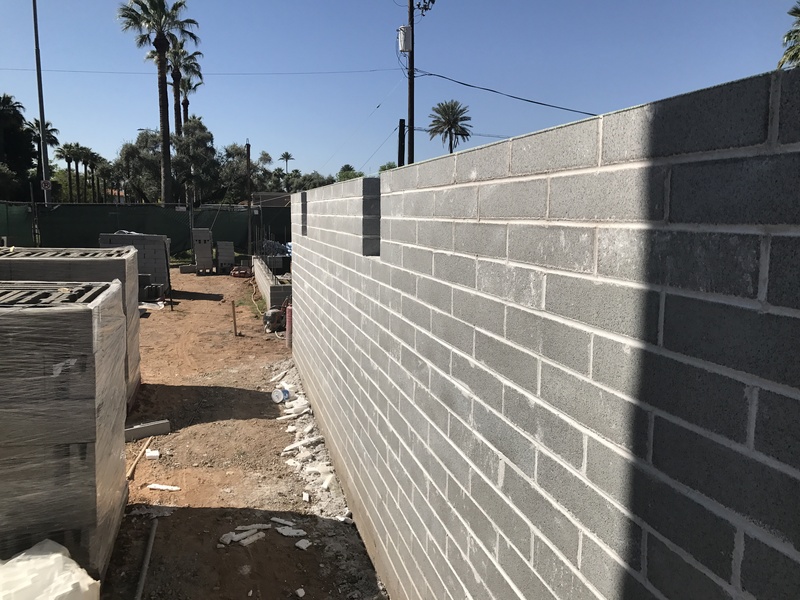 The “whole wall” is insulated, not just individual block. 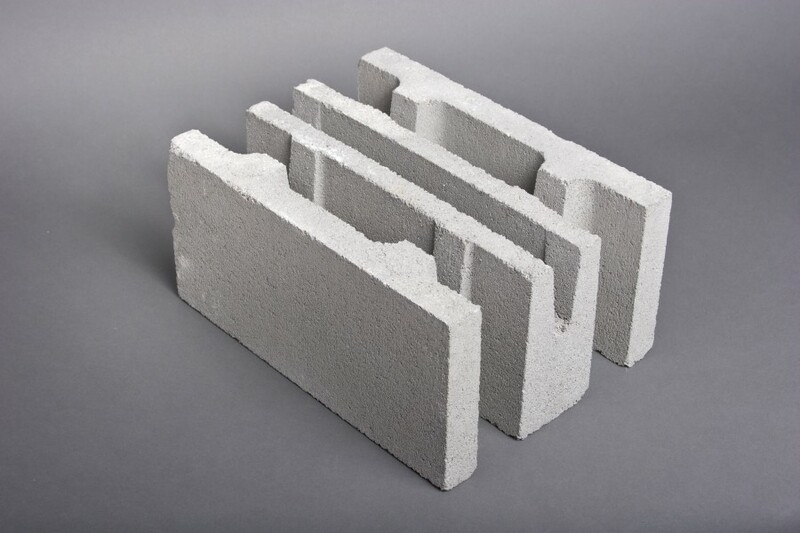 The inserts are Expanded Polystyrene (EPS) and not only provide excellent insulation, but have other favorable properties such as; they are non-toxic, do not “out-gas”, have minimal flame spread characteristics, and are manufactured with a closed looped steam process that has virtually no carbon footprint on the earth. For detailed information visit Insulation Inserts. Note that this link takes you to the Installation Process section. 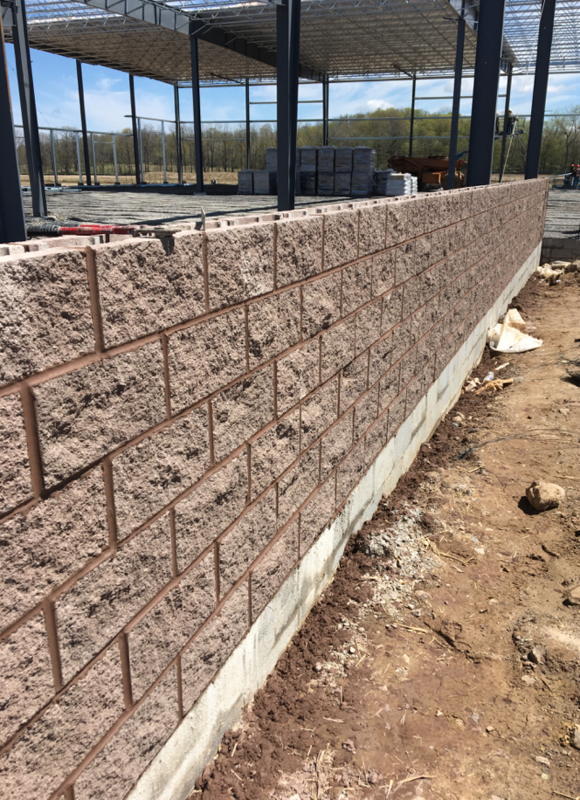 The System 12 is primarily used in commercial and institutional type buildings because these buildings typically require more structural strength that is provided by not only the larger block but the additional rebar and grout that the block can accommodate without sacrificing energy efficiency. 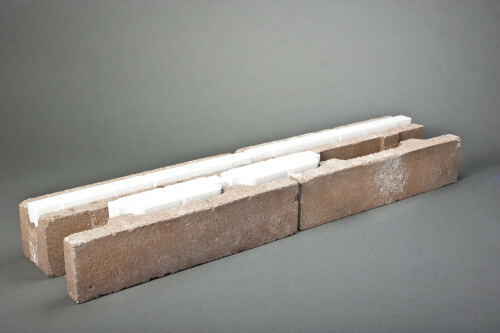 The System 12 adds another layer of masonry and another layer of insulation, resulting in four layers of masonry and three layers of insulation. The long and short insulation inserts shown above are also used in the System 12. 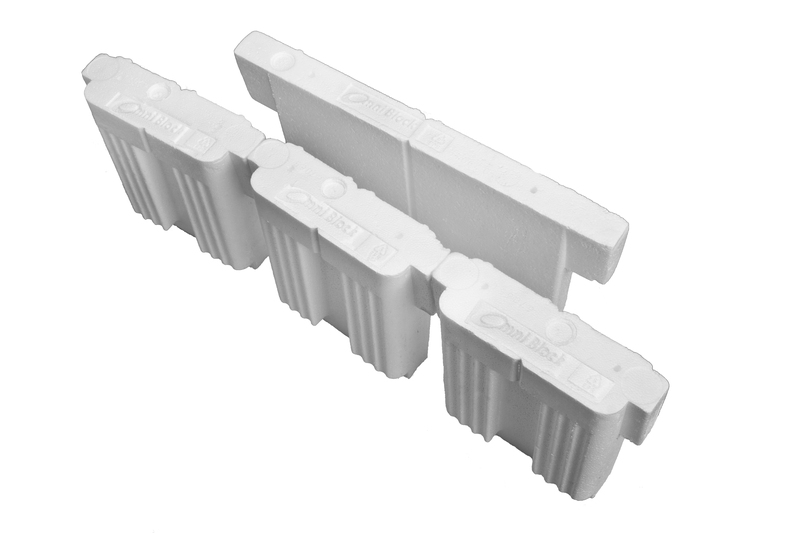 The complete Omni Block System 12 consists of four types of block, the Omni Stretcher unit is the most commonly used and the Omni Jamb which are alternatively stacked for in-line piers and window and door jambs. Also required at window and door jambs are the standard 12″x8″x8″ half block. There are situations that call for a closed-ended block on both ends and that is where a standard 12″x8″x16″ is used. This “brick look” can be left exposed on the interior as well as the exterior without requiring any additional finishing. As is the case with Omni Block, if a drywall finish is desirable then all that needs to be done to achieve this finish is a skim-coat application of drywall compound, a texture-coat and then primed and painted the very same as drywall. 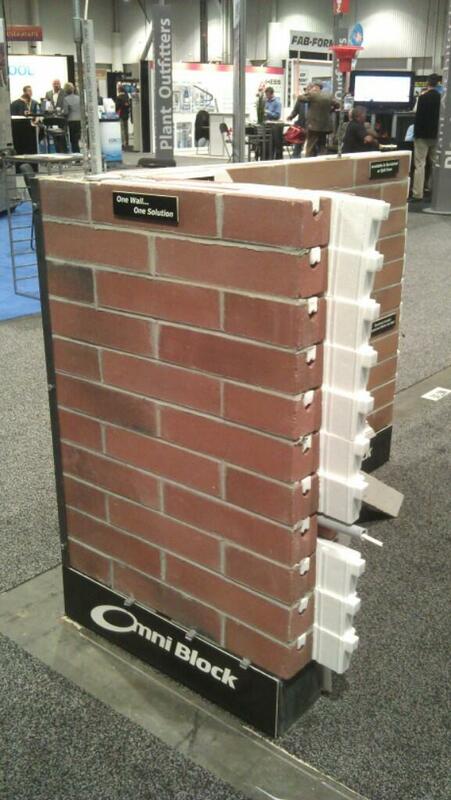 Omni Brick has the same combination of thermal mass and insulation qualities of Omni Block. Grey Omni Brick was used on the Pansing residence in the Phoenix Historical District (www.omniblock.com/historic-district-phoenix/) produced by Cindrlite Block of Las Vegas, NV. Construction scheduled to be completed June of 2018. 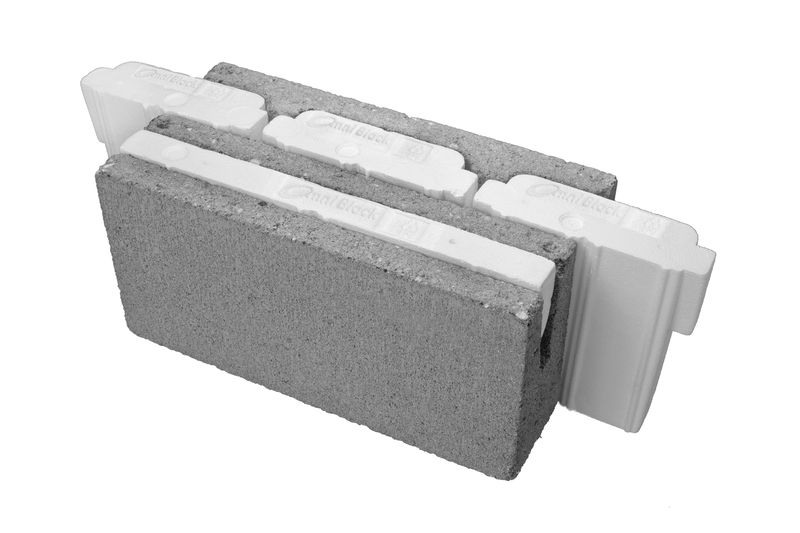 The long and short insulation inserts have the same strategically located horizontal and vertical notches so that when fully inserted in the Omni Brick cells, they do not interfere with the mortar joints. 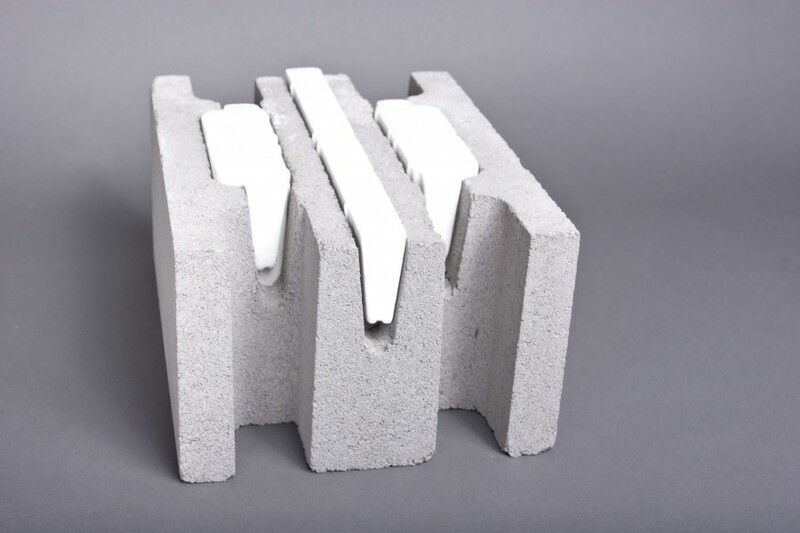 The insulation inserts are made of the same Expanded Polystyrene material as the System 8 and System 12. 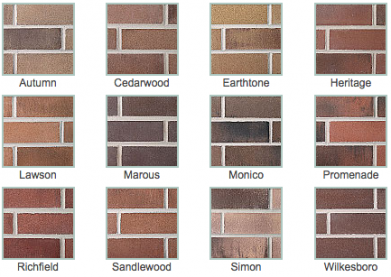 Many of the “brick” colors shown above are available from several of our distributors. Please note, locally quarried aggregates will produce a variation of colors, therefore is recommended to visit one of our local production plants to insure the color selection is desired. Custom colors with special aggregates are also available.